We are humans. We are supposedly civilised. We share our cities with them. But we bludgeon puppies to death. The 16 puppies laid out in a row in Kolkata should be seared into our memories. There’s something about puppies that should shake even the more cynical among us. Perhaps the puppies were poisoned. Perhaps they were clobbered to death. Perhaps they were poisoned AND clobbered to death. Perhaps there were 15. Or perhaps it was 16. Do the exact gory details really matter? One way or the other, does it mitigate the utter horror of it all? Sixteen puppies, dead or near-death, were dumped in plastic bags near a hospital in Kolkata. Heads smashed. An adult dog was left bleeding profusely, with its eye nearly gouged-out. Now a video has surfaced of two young women allegedly beating the dogs mercilessly. No one seems to be physically stopping them although people are heard telling them to stop. But they bite us, one of the women says. She tells the protesting students to take the dogs to their hostel. There is speculation they are nursing students. Who are these women in surgical gloves who thrash puppies to death? What is this rage? Nursing students? Really! We know our cities have a stray dog problem. But the solution cannot be clobbering them to death. “When a mosquito bites us, we kill it, don’t we?” a neighbour said, complaining about the dogs on our own street. He was upset about people feeding them, giving them names like Pepsi and Mouri. He was not pleased we had adopted a street pup whose siblings had been killed by cars. But he did not volunteer to pitch in when his neighbours got the dogs sterilised. They also scared a burglar away the other night by raising a ruckus. But they bark and they fight, he griped. They do. They are dogs. We are humans. We are supposedly civilised. We share our cities with them. And we bludgeon puppies to death. The deputy superintendent of the medical college where the puppies were dumped promised swift action. “Soon we will find out the offenders and they will be punished.” FIRs have been filed. Trinamool Congress MLA Debasree Roy has demanded “strictest punishment” for the offenders. It’s the scale of the barbarity that has shocked us. If they had killed two puppies at a time, it would not have made a blip. But the murder of 16 puppies jolts even an uncaring city into outrage. Yet this kind of undistilled cruelty is hardly new for us. Six puppies were killed and buried in Gurugram in March 2018. An FIR was filed against “unknown persons”. Animal lovers said the owners of a guesthouse in the area and some residents had said “these pups bite us so we will finish them”. The carcasses of 100 street dogs were found in the forest area of Kongara, Hyderabad in May 2018. In April 2018, two dogs were beaten, their jaws broken, and left with multiple fractures outside a housing society in Mumbai. “It is shocking that educated people living in posh places are cruelly trying to get rid of stray animals,” animal activist Salim Charania had told the media. The culprits, as usual, were “unknown persons”. Even if they are “known”, it does not matter much. 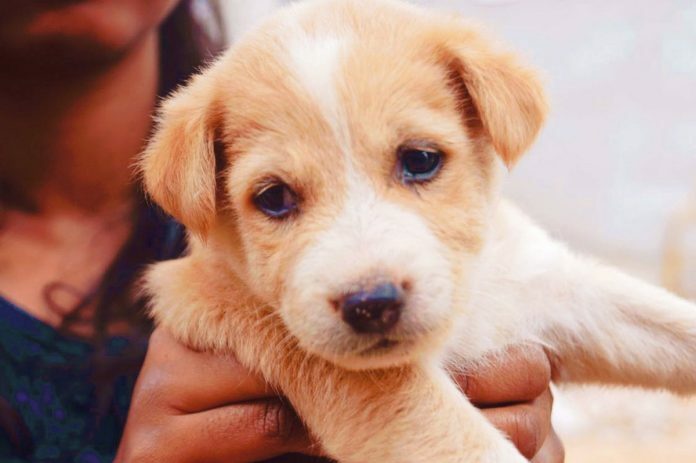 In July 2016, a medical student in Tamil Nadu threw a puppy off the roof of a five-storey building while his friend recorded the act. The dog was found alive, injured, terrified, unable to walk, but wagging her tail. The students were arrested but got bail immediately. A woman in Bengaluru, wife of an honorary flight lieutenant, flung eight puppies against a boulder and killed them to teach their mother a lesson for the audacity to have a litter near her drain. She walked free after paying a fine of Rs 1,000. There are an estimated 30 million stray dogs in India. WHO estimates 18,000-20,000 cases of rabies every year. But none of this is about the fear of rabies. People who throw pups off roofs do so because they think it’s fun, because they think other creatures, especially smaller weaker creatures, are expendable, because they know they can get away with it. Life is cheap in India. Animal life is even cheaper. Go to a zoo on a busy holiday and see the worst of us on naked display. An animal exists only for our entertainment – to poke, prod, pelt with pebbles. And if we can, we just throw it off a roof and film our derring-do. In India the only animal we care about when it comes to showing our humanity is the cow. We have stringent laws to regulate cattle sales. We have gau raksha squads, a cow minister. Cows and the welfare of cows are the subject of election campaigns and fiery rhetoric. Those accused of killing cows have the National Security Act slapped on them so they cannot get bail. The animal most of us live with on a daily basis is the dog. We call them strays but that word itself is a misnomer, somehow reducing the value of their lives, as if they have no right to be there. They are not strays. They are not lost. They are indigenous Indian breeds. Their home is the street. Perhaps that’s why those who live on the streets have learned far better to co-exist with them than those who live in gated communities. Every day you will see people who have next to nothing sharing the footpath and their rice and beds with a street dog, sometimes with just a piece of string tied around their neck, the approximation of a collar. But in India, co-existence is an endangered value. It’s not something we are taught to value anymore. Politicians pooh pooh it as a sign of weakness. Might is right. The goal is always absolute dominance. We are encouraged to be bullies, to bulldoze those we do not like out of our way, and above all express no regret. Once not so long ago, a famous politician in India, asked about carnage in a communal riot, said if someone is behind the wheel and you are in the backseat and a puppy comes under the wheel, you will still feel bad. That’s only human, he said. Compassion for a puppy killed in an accident was held up as the lowest common denominator of our humanity, something to take for granted. Now even that is not a low that’s low enough. After 16 puppies were deliberately murdered in Kolkata for no reason other than being puppies, those old definitions of what it means to be “human” and what it means to be “animal” exist only to SHAME us. The author is a social commentator and writer. Very shameful . These women should be punished severely . They don’t deserve to be in the nursing profession. These women are muderers they are not fit to be in the medical profession at all . Strict action should be taken against these women who have mercilessly killed these poor helpless creatures . If they had a problem with the animals they should have informed the animal welfare group like spca or blue cross etc who would have come and taken them . THEY ARE NOT FIT TO BE NURSES . They should be expelled from college asap . Mass murder, isint it? I feel so ashamed, angry, frustrated to be called, human any more…we as a race have reached a lowest point… and will we just, read, write and forget about it… can’t we do something to take action, now! Great work .. agree with you . Shameful incident. Feeling ashamed to stay in Kolkata. Govt should take proper initiative to punish these brutal ladies. People crap shamelessly on Mumbai beaches….that is shameful…this is a criminal act …has IPC sections exclusively for it..people have been arrested for it before in kerala, gurgaon etc…residents of these cities or states aren’t ashamed…if someone steals my purse in a crowded bus in Prayagraj , will i be ashamed of the city ?? so why r u ashamed of the city..keep Kolkata out of this. Yes it’s a shame saying ourselves human without humanity. Many cases against animals are happening all around India. Many animal abusive cases are happening but very less amount of actions are taken against them. The rules against animal cruelty is very lame and should be severe so next time no one dares to do it. Then more animal shelters, safe houses and rescue and adoption centers has to be created by govt, private and govt supported organization has to bring an end to animal cruelty. It’s only possible if only everyone joins and raises a flag against such cruelties..
Was it not Gandi who said “you can judge a nation by the way they treat their animals”. Calcutta was the last vestige of sanity when it came to strays. It is heartwarming to see people caring for strays, feeding them and interacting with them on the streets. Yet I had a shocking revelation a few days ago. There is a garbage dump in the society where I live that is frequented by cats. Of late, a dog that lives on the street in front has got wind of it and often sneaks in for food. It was evening and the children in the society were busy playing badminton. Suddenly screams erupted and I saw them dashing up the stairs. It turned out that they had spotted the dog on his way out, and had bolted on seeing him. The poor chap had not come anywhere near them and must have been himself scared at the commotion. Like all learned behaviours, compassion towards animals has to be actively instilled into children. But that requires you to spend time with the child, guiding and correcting as required. It is far more convenient to try to protect children by instilling fear into them – even if it means maligning those who a generation back were designated as man’s best friend. No laws, no policing can instill virtues. The fear manifests as cruelty once the children become adults. The underlying current remains selfishness, that the parents cannot escape once they become old and frail and potentially useless to their children. You will ultimately reap what you sow – hence don’t feel surprised when people remain mute spectators to rapes, assaults or accidents. I totally agree with you Sir, Annie Sunil. Even i feel the same. I am happy to here there is some humanity left in the the…… thanks for caring for the puppies…. Govt to introduce stringent laws to punish such culprits. Nursing students? In the first instance they donot have the moral qualification to be a nurse. Curse on human race. What kind of soul do they have ? How much frustrated abd intolerant one can be—- it isn’t an easy task for one to kill an innocent puppy. It’s a wake up call for entire human race…..today an innocent puppy, tomorrow it can either be me or you. India deserves to be nuked. Many rogues thrive on taxpayers money. Those who did are no exception.